Scene: book signing at Left Coast Crime 2016. Melissa Yi and Kenneth Wishnia are fighting off hordes of Jewish Noir fans. Suddenly, a six-foot-one man eases his way to the front of the line. John Burley: I’d like to introduce myself. My name is John Burley. I’m an emergency doctor and a writer. Melissa Yi: Are you serious? So am I. You’re the first one I’ve ever met. I’ve met other doctor-writers, but not emergency doctor-writers. John and Melissa size each other up and shake hands. Kenneth Wishnia: I want to know about that thing where you take a pen and stab someone in the neck so that they can breathe. KW: Where do you do it? MY: Between the thyroid and cricoid cartilage. JB: Just below the Adam’s apple. You feel it? MY, to JB: You ever done one? JB: Yes. The last one was the most challenging, because of congenital malformations and previous tracheal surgery. MY: Holy crap. That’s crazy. [To Ken] We talk more about crics than we actually do them. So, John, tell me about your latest book. 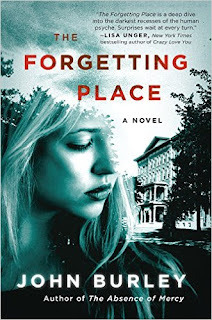 JB: My latest novel is titled The Forgetting Place. It's a dark psychological suspense thriller that's told from the perspective of a female psychiatrist who works at a correctional hospital for patients who've committed heinous crimes but have been deemed not guilty by reason of insanity. But there's more to this place than she suspects. At Menaker State Hospital, no one is safe for long. MY: And why do you feel the need to write? Isn’t it enough, to be an emergency doctor? JB: I write for the same reason that most of us do: there's something inside of us that we have to get out. Being an emergency doctor creates more grist for the mill. There's a physical and emotional intensity to the job that shouldn't be bottled up for too long. MY: I’ll ask you the question everyone asks me: how do you find the time? JB: It's like anything that you love, I guess -- like any obsession you can't live without. You make time for it, make sacrifices along the way. Everything has its price. MY: And would you ever quit medicine, if the writing took off? JB: I don't think so. Not completely, anyway. Being a writer is an isolated and often lonely profession. Medically speaking, emergency medicine is the antidote. I look forward to my shifts in the ER. It's a chance to help people, to use a different skill set. Also, it gets me out of my own head for a while. For the sake of maintaining one's sanity, I think that's pretty important. MY: Did you do any other work before emergency medicine? JB: Yes. I was a firefighter and a paramedic. Being a firefighter was the best job I ever had. It was like something every little boy dreams about. Hanging out with my friends, racing with lights and sirens to the scene of an emergency, crawling around in burning buildings, using hydraulic tools to free people who are trapped in the wreckage of a crumpled car. Swooping in and saving the day. In terms of job satisfaction, it doesn't get any better than that. MY: Okay, you’re officially a superhero. Wait, some fans want to ask you some questions. Fan #1: Are you ever going to write a series? JB: When I finish a book, I feel like I’m kind of done with that world for a while. It’s possible, but I like doing new things with every novel. Fan #2: Are you ever going to set a book entirely in the emergency room? JB: It’s hard to set a 400-page book in the emergency department. I've set scenes in the ER before, but not a whole book. Besides, I spend enough time there already. MY: Any final words you want to share with your present and future readers? JB: Thanks for your love of books, for lending us your imaginations and joining us in the worlds we've created. You make it all worthwhile, and we love hearing from you. Without readers, it would all fall apart. Nothing else in this business would matter. MY: There you have it, folks. The fans are craving more series, more emergency room carnage, and more John Burley. Can’t exactly blame them. 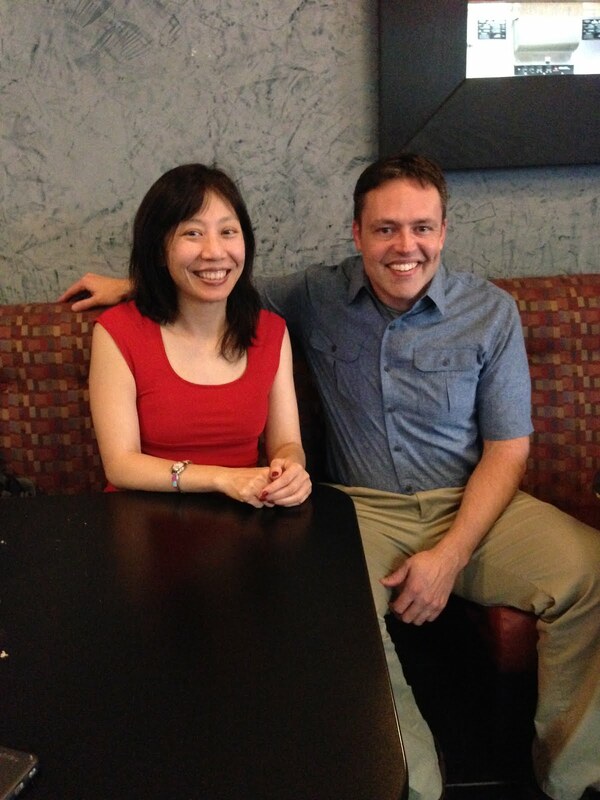 If you’re super lucky, maybe you can go to a conference and have sushi with him. (In Phoenix, I recommend Harumi Sushi.) In the meantime, you can check out his books and the latest happenings at www.john-burley.com. Wow! That's a lot of pen-tracheotomies! What an interesting connection to make. Hi to Ken Wishnia, one of my favorite people. Melissa and John, interesting interview. You reminded me of my aunt Esther was a WW-II RN with a number of legends surrounding her. One story was of a man who collapsed on a sidewalk from a seizure and was swallowing his tongue. I was only a little kid, but if I got the details right, she hooked his tongue and safety-pinned it to his shirt collar. Does that sound reasonable? It must be a challenge with two careers that you love, not to mention family. Well done both of you! Now I would be scared to let either of you guys sign a book for me because I don't want you near me with a pen. Fun piece.